2019 Mercedes-Benz E-Class E 300 4MATIC® E 300 BLUETOOTH HANDSFREE, REAR BACK UP CAMERA, 12.3" Widescreen Instrument Cluster, 19" AMG® Twin 5-Spoke Wheels, Active Speed Limit Assist, AMG® Line Exterior, AMG® Body Styling, Black Headliner, Burmester Surround Sound System, DISTRONIC PLUS® w/PRESAFE Brake, Driver Assistance Package, Driver Assistance Package Plus, Electric Trunk Closer, Hands-Free Access, Heated Front Seats, Heated Steering Wheel, KEYLESS GO Comfort Package Code, KEYLESS GO , LED Logo Projectors (Set of 2), Natural Grain Brown Ash Wood Center Console, NFC Wireless Charging, Perforated Front Brake Discs & Fr Brake Calipers, Premium 1 Package, PRESAFE Impulse Side, Route Based Speed Adaptation, SiriusXM Radio, Speed Limit Assist, Sport Interior, Sport Interior (P15), Steering Assist. 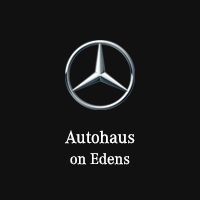 The team at Autohaus on Edens is here to meet and exceed all your luxury automotive expectations, and we look forward to doing so day after day. Make the trip to see us Monday through Saturday at 1600 Frontage Road in Northbrook, IL to experience the quality service you deserve.At our dealership, you’ll always find a full selection of new Mercedes-Benz models to choose from, including popular options from the Mercedes-Benz C-Class, Mercedes-Benz E-Class, and Mercedes-Benz GLA models.2019 Mercedes-Benz E-Class E 300 4MATIC® E 300 BLUETOOTH HANDSFREE, REAR BACK UP CAMERA, 12.3" Widescreen Instrument Cluster, 19" AMG® Twin 5-Spoke Wheels, Active Speed Limit Assist, AMG® Line Exterior, AMG® Body Styling, Black Headliner, Burmester Surround Sound System, DISTRONIC PLUS® w/PRESAFE Brake, Driver Assistance Package, Driver Assistance Package Plus, Electric Trunk Closer, Hands-Free Access, Heated Front Seats, Heated Steering Wheel, KEYLESS GO Comfort Package Code, KEYLESS GO , LED Logo Projectors (Set of 2), Natural Grain Brown Ash Wood Center Console, NFC Wireless Charging, Perforated Front Brake Discs & Fr Brake Calipers, Premium 1 Package, PRESAFE Impulse Side, Route Based Speed Adaptation, SiriusXM Radio, Speed Limit Assist, Sport Interior, Sport Interior (P15), Steering Assist.